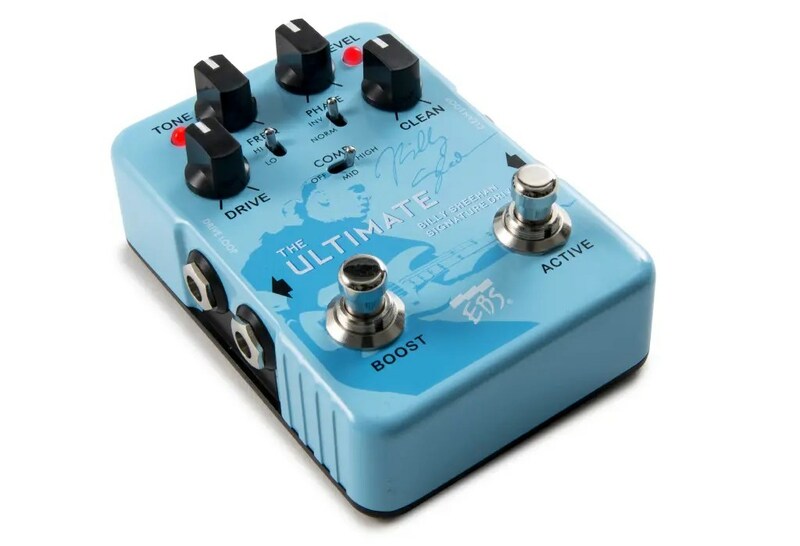 EBS BILLY SHEEHAN ULTIMATE SIGNATURE DRIVE. 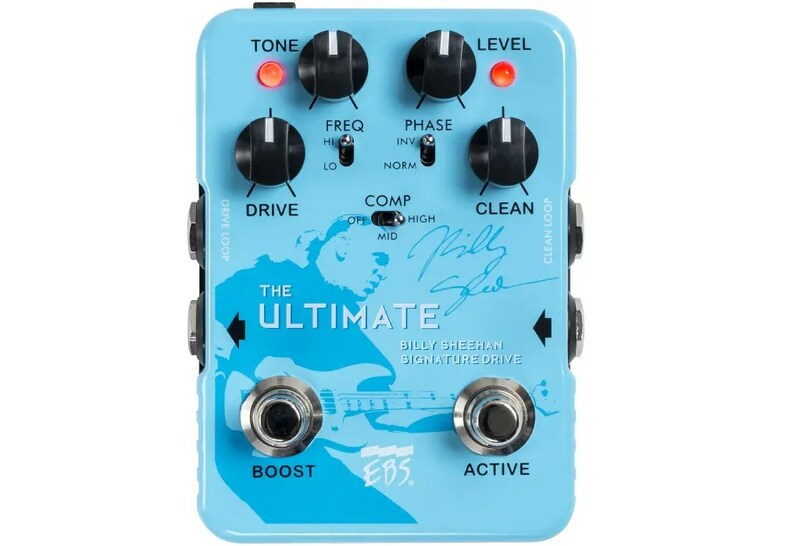 WHEN BILLY SHEEHAN FIRST TURNED TO EBS TO CREATE HIS SIGNATURE PEDAL, HE NEEDED TO CAPTURE THE ESSENCE OF HIS SOUND IN A PEDAL TO SERVE HIM WHEN HE COULD NOT BRING HIS ENTIRE RIG. IT TURNED OUT SO GREAT IT HAS BEEN A SIGNIFICANT PART OF HIS MAIN SETUP EVER SINCE AND SERVED THOUSANDS OF OTHER BASS PLAYERS AS WELL. NOW IT'S TIME FOR THE ULTIMATE VERSION! 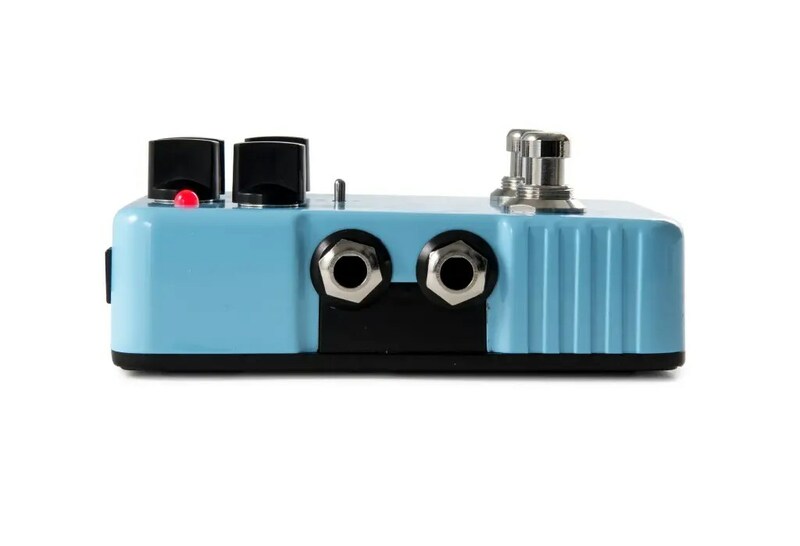 “This pedal is a distillate of several important principles in the signal chain for bass. Compression, distortion, tone-shaping and blending all together.”, Billy said when EBS released his first signature pedal in 2013. The original concept is still the same, but with more features added along the way. The ‘Ultimate’ edition also has a new slimmer design and will start shipping soon. 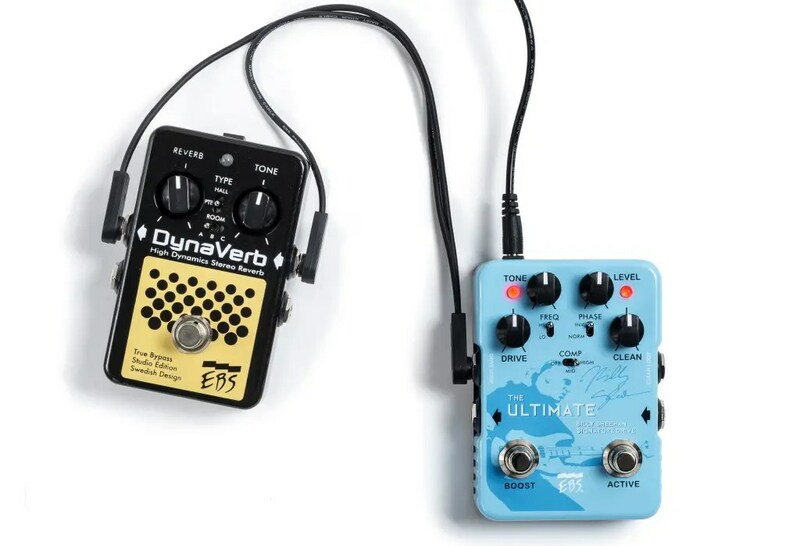 Connect other effects to the Drive or Clean loop to inject the distorted or clean sound individually with external effects. Use the EBS ICY-30 insert cables with a TRS contact at one end that splits into two mono contacts representing Ring (send) and Tip (return) to loop in the external effects. Hi or Lo Frequency range Switch. NEW!